activities with your kids IN CCA TODAY: Assemblage Art. Joseph Cornell inspired. Shadow Boxes for Slime. 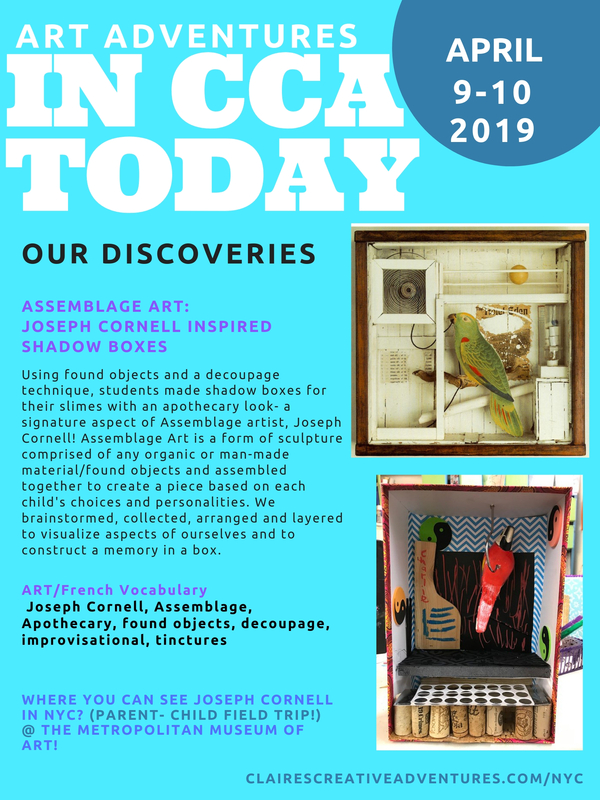 2D, 3D, Afterschool Art Program, Apothecary, arts enrichment, assemblage, balance, Children Art's league, decoupage, found objects, Joseph Cornell, sculpture, shadow boxes, shelves, slime, Spring. Bookmark.